Click here to download Netview for OS X.
Double-click (installer icon) and follow the on-screen instructions. Note: Read the License Agreement carefully. The system code is an unique identifier generated when the software client is installed and it will never change. It is provided to Technical Solutions to grant them access the historical test reports from your network. Both the System Code Hash and the System Code represent the same identifier; the hash is simply easier to dictate over the phone. 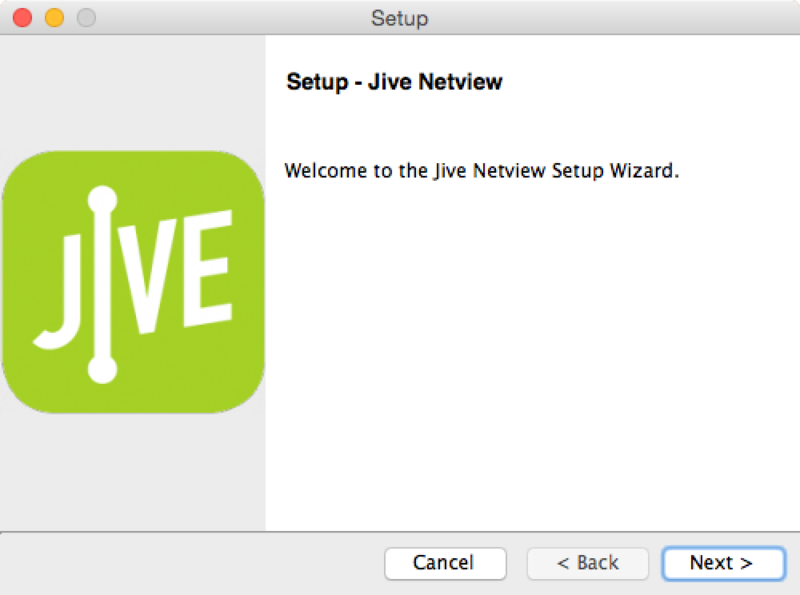 Open Jive Netview (Applications folder). Click Show Jive Netview Client. Verify that the Jive Servers Communication displays Success (this indicates the tool can report network data back to Jive, not that the phones are working). Provide either the System Code Hash or System Code to the Technical Solutions representative. The software uses the Qt Development Frameworks, a third party software library owned by The Qt Company licensed under the GNU LGPL v2.1 license. Its source can be downloaded here.